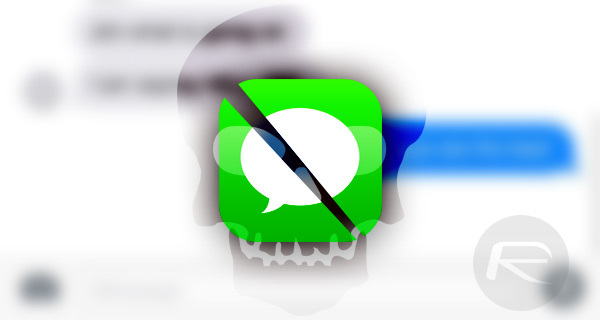 According to a presumably well-placed developer, Apple appears to have fixed the menacing chaiOS Messages app bug with the latest iOS 11.2.5 beta 6. For those that may not know, the chaiOS is also referred to as “effective power” and has recently been causing Apple’s iOS and macOS Messages app to crash and hang when a specific text is received. iOS 11.2.5 beta 6 seems to have fixed the new effective power bug. Apple may not have officially come out into the public domain and acknowledged the existence of the bug but it’s great to see that the company has at least acted internally to resolve the problem which is affecting users globally. For those that haven’t been afflicted by the problem, the latest effective power bug first started doing its rounds 36-hours ago when Abraham Masri – the developer behind Houdini semi-jailbreak and to.panga – tweeted out about the issue as well as including a malicious link which causes the crash. When the malicious message is received, users were noticing that their devices were crashing or the Messages app was hanging as it was unable to render the included URL. Since then, we’ve spoken about temporary measures and fixes that affected users can put in place to combat the problem until Apple issues a firmware fix to remove the problem. It now seems that Apple has been working on the problem, which looks to manifest itself due to how iOS and macOS attempt to show previews of included URLs, and that the company is close to issuing a public release which will fix the problem. However, the question now remains; will Apple wait until iOS 11.2.5 is pushed out to the public or will Tim Cook’s company push out an immediate interim iOS 11.2.3 release solely with this fix in mind?